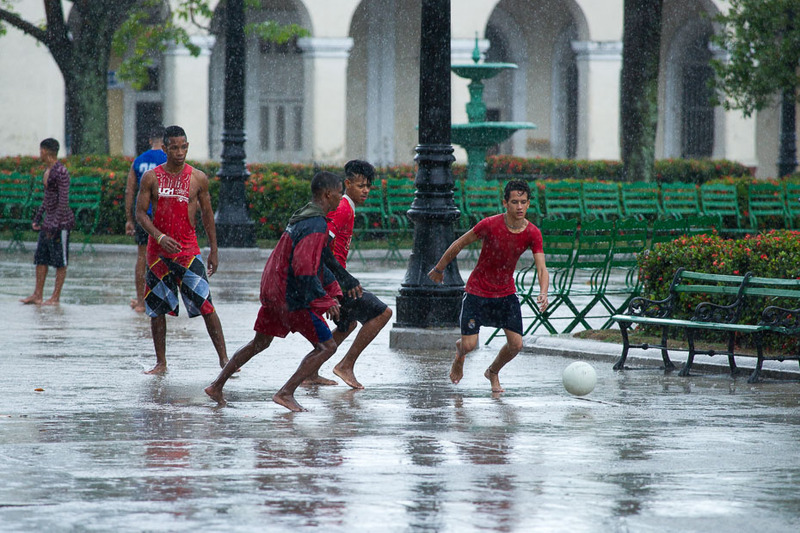 Watching how the children are playing football in Cienfuegos city in Cuba, I immediately thought – this is what real childhood looks like! In just a moment one of the players lies down and starts making angels in a puddle, just like we would in the snow. Another group of children grabs handfuls of mud and has a mud fight. Despite the rain we did not get to see much in Cienfuegos, but it will always remain as the Cuban city of childhood in my memories. Read more about Cuba here.